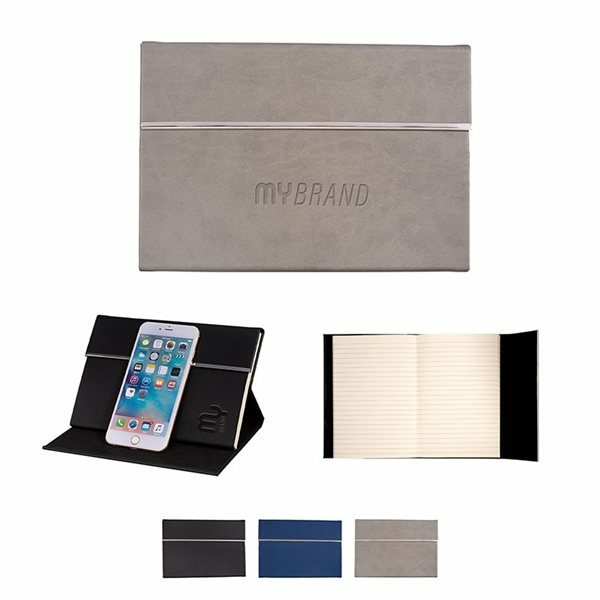 Bound journal with soft faux leather cover of Italian PU with metal rim edges on front flap. Journal cover folds to become mobile device stand for small tablets and smartphones. Includes 80 lined sheets of 80g cream paper.